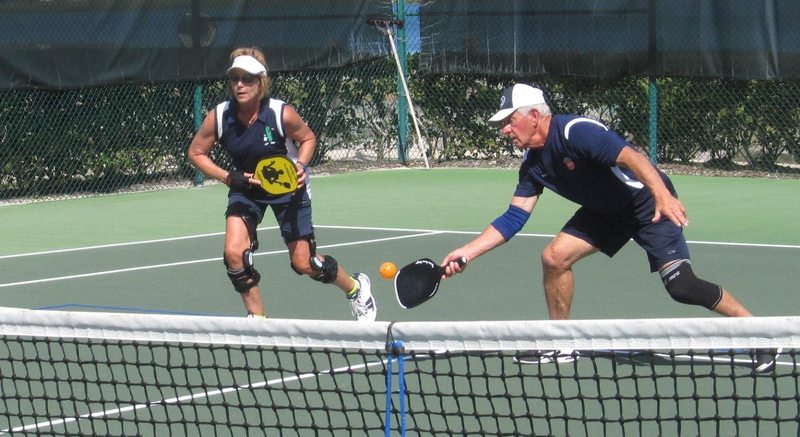 Highlands Ridge was the only local team to win their match in the fourth week of South Central Florida Pickleball League action. The highly competitive play between Highlands Ridge and Riverbend of LaBelle went right down to the last match of the day with Highlands Ridge trailing by three points. The “C” team of Dave Shaner and Bill Alexejun, with two wins in their first three games, took the final match earning six points for a 35-32 victory for the Ridgers. The Highlands Ridge “A” team of Mickey Dorman and Chris Donaghy had a perfect day. The 18 points they accumulated meant that the rest of the Highlands Ridge teams only needed to take a total of 17 points. The win gives Highlands Ridge a record of 3-1.